We are counted as one of the leading organization involved in offering unique range of Programmable Controller to our renowned customers. 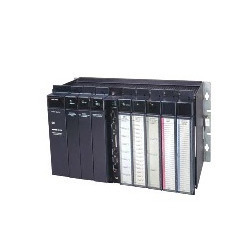 These Programmable Controller are manufactured by our vendors using superior quality materials. Incorporated in 2004, Bhavanee Automation Solutions, started as a sole proprietorship unit. The solid groundwork and in depth industrial knowledge has helped us to edge past our competitors and establish ourselves as leading supplier, distributor, exporter and trader of Programmable Logic Controller. Products we are offering are manufactured by GE Intelligent Platforms (General Electric) having excellent industrial experience and knowledge. We provide efficient services of the same. Our efforts are directed in making our products and services better day by day, so that our clientele is satisfied in all aspects and can have faith in quality offered by us. Mr. Shivakumar B. Waddepalli (Proprietor) has played a vital role in our success. He has helped us to carve a distinct position for ourselves in industry.